Picking your Scentsy Sponsor is an important decision! Scentsy is an amazing company that offers everything you need to start your own business. The resources and training are phenomenal! To sell Scentsy you first select a sponsor. If your sponsor has more than one other consultant, they she or he has a team & group. Your Scentsy Sponsor is icing on the cake. Your sponsor can really help you jump start your business. Learn more about starting your Scentsy Business. Look Around, Ask Questions and Interview Scentsy Consultants! As a Scentsy Consultant you are the owner of your own small business and you will want to make sure to select someone who will help you as you start and move up the ranks. Someone who wants to move up with you! Some consultants join Scentsy for a discount, some join to earn a little more cash each month and some plan to replace an income. Not everyone joins or works their business the same. 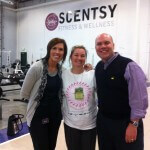 It is important to interview Scentsy consultants to see if they would be a good sponsor for YOU. Selling is a people business, it is all about relationships. Once you have chosen your sponsor, it is Scentsy’s policy that you cannot change just because you do not like them or they don’t help you the way you want. Partnering with the right consultant can make a big difference. Join My Scentsy Team Today! Become a Scentsy Consultant Now! I am a Scentsy Director and my team is the Red Hot Chillys. Once you earn director with Scentsy, you are then responsible for a team. I made director in 11 months from when I joined Scentsy. Like many, I had never intended to sell, but as you can read in my Scentsy Story, once I got going, I haven’t stopped. I also believe as a leader I need to continually learn. I attend Scentsy Boot Camp for Directors within the first year I made director. I also make sure I am very connected to others and I have attended every Scentsy event since I have joined. This includes ALL conventions, ALL incentive trips (I have earned every one since I joined) and ALL leadership training as well as multiple spring events where I have been asked to speak. I was also recognized as one of the TOP 100 in 2014. It is an honor I am very proud of. 2011 Annual Mentor Award (Sponsored over 20 people in a year). 2011 Annual Sales Award (Sold over $30,000 in a year). 2012 Annual Mentor Award (Sponsored over 20 people in a year). Monthly Sales award (for selling over $2,000 in one month). I was also spotlighted as the Outstanding Sponsor of November 2010. 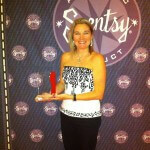 I am a graduate of Scentsy Director Bootcamp. 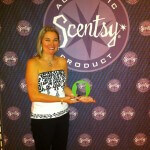 Since 2010 I have attended ALL the Scentsy conventions and since 2011 I have attended ALL Scentsy Leaderships. It is important to meet to continue to learn and connect with other Scentsy Consultants. I make a point to go to ALL the Scentsy events so I can bring back this information and train my team. It makes me a better person and better leader. Why Me? Why My Scentsy Team? I want you to join my team, The Red Hot Chillys. I have a passion for Scentsy and want to share it! But my real passion is to help others reach their goals with Scentsy! I have seen what a difference this company is making in people’s lives, and I want to share that with you! I get very excited when a new team member makes her first goal. I celebrate with my team. I encourage someone interested in starting a Scentsy business to interview potential sponsors. Are you thinking about joining Scentsy? Still have questions or want more information? Let me know if you have any questions! Or check out my additional questions about Joining Scentsy. I am here to support my team! You are not in this alone! I believe in setting goals, so I ask that you tell me your goals or we can work together to establish your goals, and then determine how we will track and measure them. I host conference calls as well as one-on-one training. I use email, text and phone calls to keep up with everyone. Once you make Director in Scentsy is it your responsibility to help your team. I believe from the time you sponsor your first team member you are responsible for helping your new team member. Key to your success in this business is leveraging what others have done before. As a member of our team – The Red Hot Chillys – I work to make sure everyone on the team is plugged in, connected! I have a full-time job (other than Scentsy) and two small kids so I find it best to train over the phone, but make myself available if you want in person training. If you are out of town I train new Scentsy Consultants over conference calls, video and screen sharing. I am a huge fan of text messages as well – I tend to connect to you the way you want to connect. Scentsy Spirit is about helping others, I will help you if you are not on my team, however my team takes priority. What do I get when I join Scentsy? When you sign up to sell Scentsy you get the Scentsy Starter Kit and 3 months of your Scentsy Website included in the starter fee of $99. You will also have access to all the Scentsy tools and resources. In addition to the resources Scentsy offers I have a lot of tools and resources to help my team. I have a team website which contains documents and team information. I have a team Scentsy blog where I share information, inspiration, advice and suggestions. We also use a facebook group where others in the team can help each other out. I have also started using YouTube for training, check out my YouTube channel to learn more about me and how I train. Are you ready to start your own Scentsy Business? I LOVE these products! And if you love them too, join me in turning your love & passion into a business. Learn more about the Scentsy Business Opportunity or the Scentsy Compensation Plan, Join to Become a Scentsy Consultant Now! Join the Red Hot Chillys Scentsy Team and let me help you set and meet your goals!